Infuse your home with the bright freshness of lime and citrus, mellowed with soft, silky bergamot and the timeless fragrance of creamy vanilla extract, brought to you in the finest luxury perfume diffuser. Citrus inspires freshness and clarity in the home, instilling a sense of energy yet helping to clear the mind. Here, we’ve combined lime, lemon and other citrus fruit extracts to create a fresh and invigorating fragrance medley that will help to revitalise and reinvigorate your home. Contrasting the sharp twist of citrus comes bergamot, whose bold, rich and spicy fragrance offers a powerful base note to this fragrant blend. The combination of bergamot and citrus is regularly used in luxury perfumery, valued for its subtle masculinity and complex, pleasing aroma. To refine and wrap-up the scent, vanilla adds warm mid notes of cream and gentle spice, complementing the sharp citrus peaks of lime zest. These contrasting fragrances marry together perfectly, creating a sophisticated scent that will add interest and vitality to your living space. 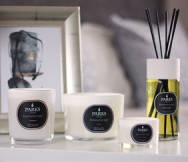 Part of the Parks Exclusives range, this luxury perfume reed diffuser comprises of a 100ml bottle of natural oil extract containing a careful blend of ethically-sourced ingredients. 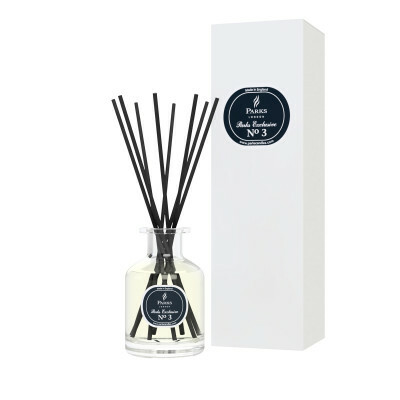 The liquid will evaporate slowly, infusing the air with the help of a handful of natural rattan sticks – for true and authentic fragrance that will last for up to 8 weeks. Looking for the perfect gift for the avid home fragrance fan in your life? Our No. 6 Lime & Citrus Diffuser is supplied in an elegant presentation gift box, and promises to be a wonderful addition to their home.